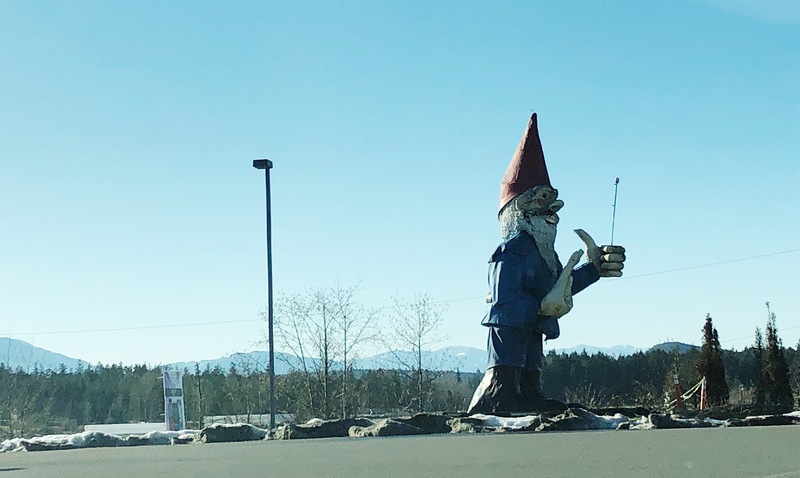 NANOOSE BAY, BC- A new home for Howard, the 25-foot gnome from Nanoose Bay, has been narrowed down to five out of 120 offers. Chris Hale, the grandson of Howard’s creator Ron Hale, told the MyComoxValleyNow.com newsroom that he, his sister, brother, nephew and niece went through all the applicants to find the perfect spot. All five options were chosen because they are all family run companies. “We would like him to stay on Vancouver Island. We would like him to stay in the mid island if we can.” Hale said. The hope for the family is that Howard will stay close so that they can go and visit. “My mom and dad built the go cart track and we had that for 25 years. 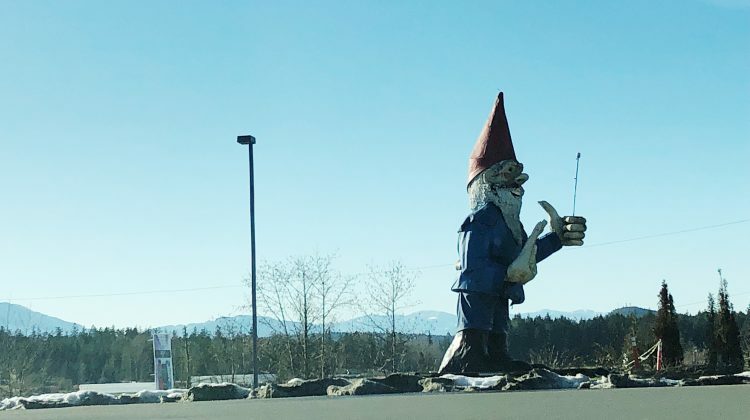 All the kids grew up around the go cart track, the gnome was a huge part of the track and it made people happy.” said Hale. The amusement park that once stood where the Chevron Station at 1660 Island Highway is now, was run by Ron Hale. The family ran the park for about 35 years and when Ron retired, he decided to build Howard from scratch in his garage. Howard means a lot to the family as its stood in the same spot for years, Howard must move because the owners of Chevron station told the family they wanted Howard taken apart due to legal reasons. Instead of taking him down and taking him apart the family is working hard to find the perfect home for Howard. “We would like to see it go somewhere it could actually help a business as well and make people smile.” says Hale. The deadline for Howard to be in his new home is April 30th.